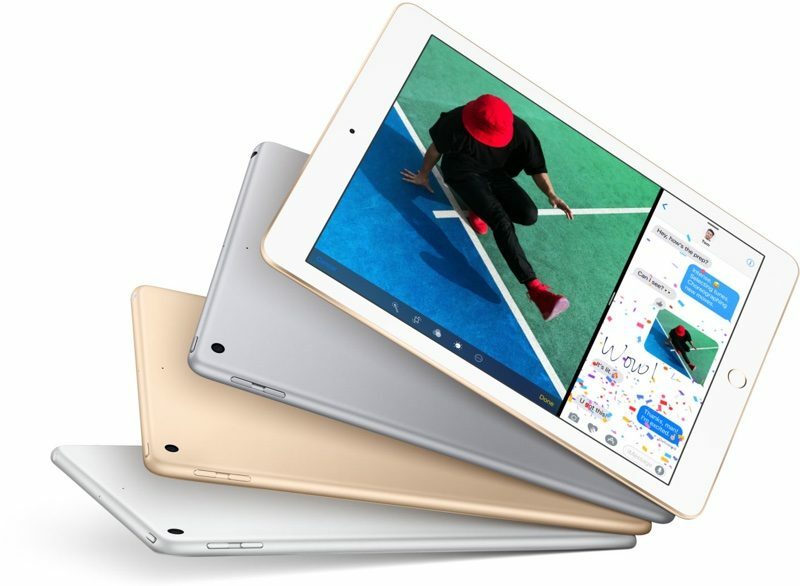 Apple plans to introduce a cheaper iPad next week that should appeal to the education market, and new software for the classroom, according to Bloomberg News' Mark Gurman. The new products should be announced at Apple's education-themed event on Tuesday at Lane Tech College Prep High School in Chicago. A new, cheaper MacBook laptop is in the works and likely destined to replace the MacBook Air at a price less than $1,000, but it probably won't be ready in time for next week, the people said. The MacBook Air, introduced about a decade ago, hasn't seen a major change since 2010, the same year the iPad came out. Although the laptop is popular with college students, it has languished as Apple focuses on more expensive Macs. At first glance, it would appear that Gurman is referring to a lower-priced 12-inch MacBook, as many people believe that Apple will eventually phase out the MacBook Air. However, the "MacBook laptop" wording is perhaps intentionally vague, in case it does end up being a cheaper MacBook Air. 12-inch MacBook models currently start at $1,299, and were last updated with Kaby Lake processors and faster graphics in June 2017. MacBook Air starts at $999 and hasn't received a meaningful update since March 2015. Earlier this month, KGI Securities analyst Ming-Chi Kuo said Apple plans to launch a more affordable MacBook Air in the second quarter of 2018, which essentially runs between next week and the end of June. WitsView researcher Yubin Qiu estimated the notebook could start at $799 to $899 in the United States. Gurman said the new MacBook "probably won't be ready in time for next week," suggesting it won't be unveiled at the Chicago event. Of course, Apple could still mention the notebook at the event, even if orders begin later. Gurman nor Kuo have elaborated on what we can expect from the new MacBook or MacBook Air, whichever it ends up being, but it's reasonable to assume that we'll see a bump to the processors and graphics. If it's a new MacBook Air, a Retina display is also a possibility, but that may go against the sub-$1,000 price. Apple hasn't specified if the Chicago event will be live streamed. MacRumors will provide coverage on Tuesday at 10:00 a.m. Central Time. Apple kills the Air in favor a cheaper Macbook with garbage keyboard and no ports! And Apple will tell us how "courageous" it is . . .
How many ports are you using anno 2018 on your laptop. I mean apart from a usb-stick every now and then and charching I'm really not using any ports. If you want more ports than you should just buy a mac book pro. Physical ports are destined to be gone and I for one am glad Apple's taking a front role in killing off ports and forcing companies to go wireless. If it was for people like you we'd still be using cd-roms and floppy disks. Wow, dude. Not using any ports? No disrespect on your use case, but I ask, then: Why don't you buy an iPad or IOS phablet and call it the day? So you're saying the only difference between a notebook and a tablet is the number of ports? TLDR: product with atrocious keyboard to be released. Makes more sense than releasing an updated MacBook Air. The 12 inch MacBook is an awesome machine, just throw an extra port on the other side and many would be happy. We’re just repeating history here. The same thing is happening when the MBA first came out as the eventual successor to the MacBook, it’s just that this time the MacBook is here to take back it’s throne; it just needs a couple more years. The rMB is years ahead of its time. It’s super light and compact, but I don’t think it’s just price that is keeping entry level users away. When you factor in the single port, new keyboard (which has been polarizing for some), low processing power, and crappy FT camera and THEN tack on the price, it’s clear it’s not ready for that entry market. Buying a MBP for the same exact price, while just adding one pound and a little bit of bulk is a hard deal to pass up. How they redesign a MBA and offer it at a $300-$500 cheaper price than the rMB and not cannibalize the rMB is tough. I say they give the MBA a new screen, USB-C / USB-A, and that’s it. It will be as plain as the new budget iPad. It’s best to put the rMB in a side category by itself. It makes things a lot clearer. Of course, they need to milk the MacBook Air as long as possible and sell out all their remaining stock first. That is a superb business practice to maximize the profit. Every business minded person like I am will understand and agree. Also give it a larger screen around 13"-14" and i'd be happy with getting a MacBook, i'm assuming it will start at $1000 and work it's way up to a top end model.